Shredded meats are delicious in sandwiches, tacos, or mixed into chili. Pulled pork is shredded pork that has been slow cooked to perfection. You choose a cut of pork that is marbled with fat, so it tenderizes itself during cooking. A good choice is a pork picnic roast or shoulder. You can use several different cooking techniques that actually leave your hands-free to do other things. It’s literally a meal that cooks itself. This article will outline a few of these easy cooking methods and show you how you can make pulled pork easily. While you enjoy your day, this tender pork is simmering away in a delicious sauce. Stir together onion, vinegar, ketchup, brown sugar, Worcestershire sauce, tomato paste, mustard, paprika, salt, and pepper in a 6-quart slow cooker. Place the pork in the mixture of sauce, and remember to turn over the pork to coat well with sauce. Place lid on and cook for 8 to 10 hours with a lower setting. You will know it is done when the pork falling apart and very tender. When the roast is cooked, place in a bowl. Then turn your slow cooker up to high and bring sauce to a boil. When sauce has reduced, pour over roast and use 2 forks to shred the meat. Serve on buns or Ciabatta rolls. Here is a video illustrating how you can make pulled pork in a slow cooker. 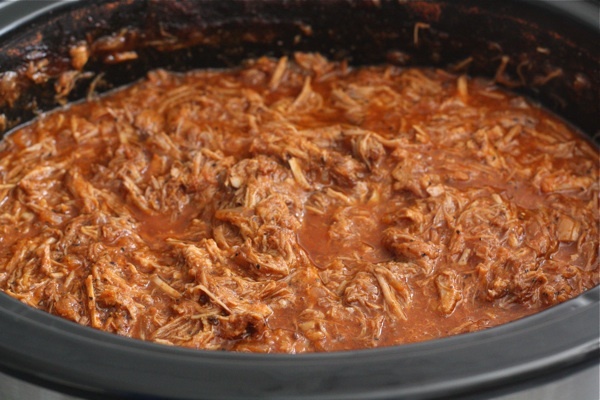 Probably one of the easiest pull pork recipes around with only three ingredients in the sauce! Lay your pork tenderloin at the bottom of your slow cooker. Open the root beer and pour in the entire can. Turn slow cooker on low setting and cover. Cook 6 hours. Drain any grease and pour barbeque sauce over pork. Use 2 forks to shred meat. Place a portion of pork on hamburger buns and serve. This is one of the fastest ways to cook pulled pork and is ready to enjoy is just about an hour! To make cooking faster, chop up your pork roast into pieces. Rub garlic powder, onion powder, and paprika into the meat. Place the olive oil into bottom of pressure cooker, heat and brown meat until very well seared on all sides then sauté the garlic and onion (make them translucent). Then take the pork out. Pour in the barbeque sauce and 1 cup of water, and spread the mixture at the bottom of the cooker. Put the pork back and place lid on the pressure cooker and lock tightly. Cook until the pan reaches 15 psi, then reduce heat to low. Cook for 1 hour. After 1 hour, turn off the heat and allow the pressure to release naturally. Then, remove the lid and pull pork apart with 2 forks. Add more sauce if needed and place portions on rolls. Tender pulled pork can take hours to cook on a grill. Traditionally, an entire pig is slow cooked over hot coals, sometimes overnight. This method gives your pulled pork that smoky grilled flavor with less time. Start this early in the morning in the oven, and toss on the grill about an hour before you plan to eat. Early in the morning, preheat your oven to 275 degrees. While you wait for the oven to heat, mix mustard, brown sugar, salt, pepper, onion powder, and paprika in a bowl. Place your pork into a roasting pan with the fat side up. Baste the meat with the mixture and cover with foil. Roast for 12 hours until tender. Pour off juices from the meat into a bowl and put in the fridge. Light your barbeque and allow your coals to heat until red hot. Sprinkle with drained wood chips and allow to get smoky. Place the pork shoulder on the grill and close the lid. Open your air vents. Allow to smoke for 30 minutes. After 30 minutes, place more of the drained wood chips over the coals and close the lid to the grill. Smoke another 30 minutes. Take off the grill and allow to sit for 30 minutes. Take the meat off the bones and shred. Remove juices from fridge and pour over meat. Serve on buns with barbeque sauce. It is easier to roast the pork in the oven day before and grill the day you will be eating it. Just roast the meat in the oven and place in the refrigerator. Before grilling, take out and allow to come to room temperature. Place back into the roasting pan and add ½ cup water. Cover the roasting pan and heat to 425 degrees. Place on grill to smoke, then shred and serve. 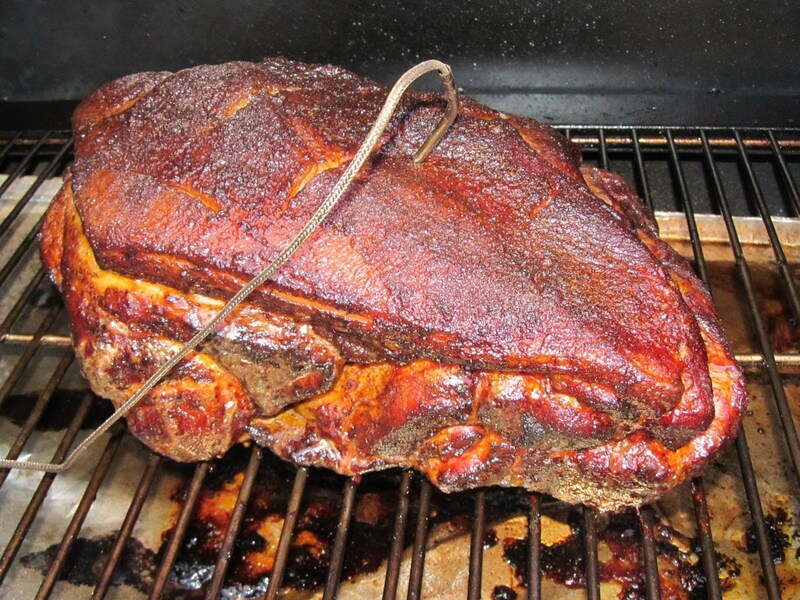 Here is video showing how to make pulled pork on a grill in details, click to find more. Is Carbonation Bad for You?